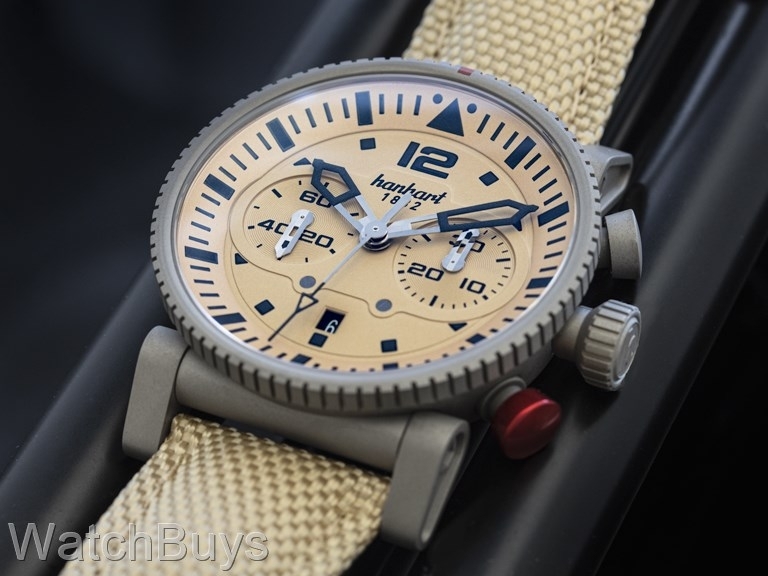 This is one of our favorite watches in the Hanhart Collection - the Primus Pilot Desert Sand. 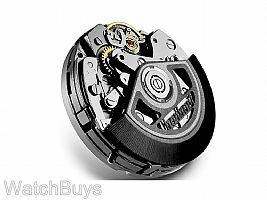 One look at the dial, strap and sand blasted stainless steel case will tell you why. 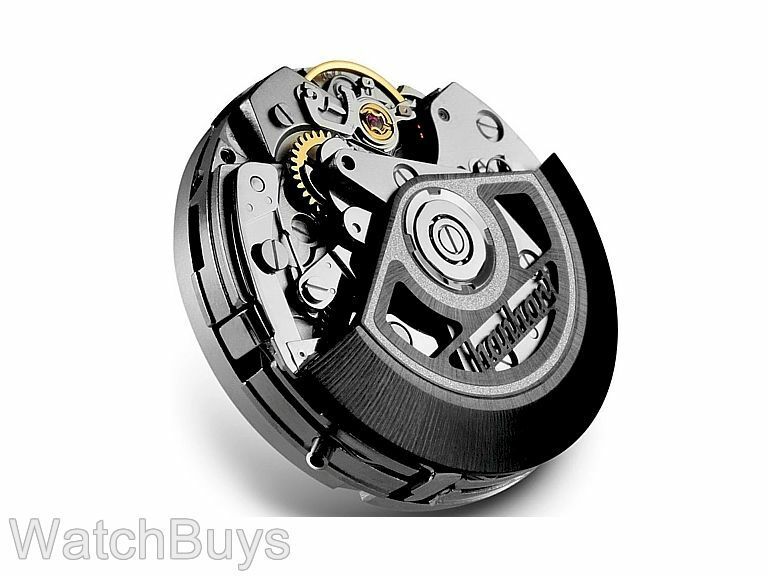 Verified Owner Comments: This is a great looking watch with a terrific strap and buckle. My ritique is as follows 1. The watch looks and wears big at 44mm. This is not for small wrists. 2. The chrono totalizer is only for 30 minutes. I would much prefer that it be 1 to 12 hours total. 3. A uni-directional bezel would make the watch much more helpful, rather than the fixed bezel with a red has mark at the 12 o'clock position.